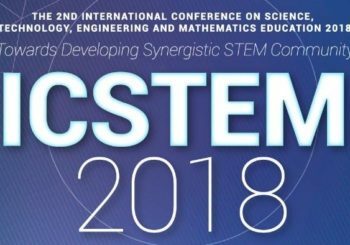 Thank you for all participants, speakers, committees, and all who involved in making ICSTEM 2018 successful. Here are some photos of the event. 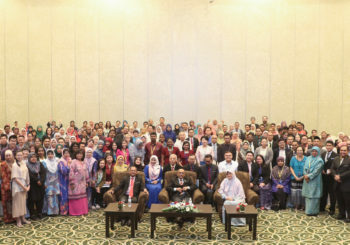 ICSTEM 2018 Post-Conference Workshops will be held on 4 October 2018 at Universiti Teknologi Malaysia, Kuala Lumpur. There will be 2 workshops held in parallel. 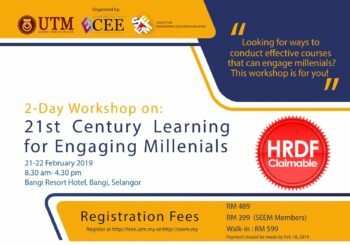 Workshop 1: Supporting Productive Failure through Empathy in Early STEM Education Workshop 2: Nature School To register, please fill in the Post Workshops Registration Form.